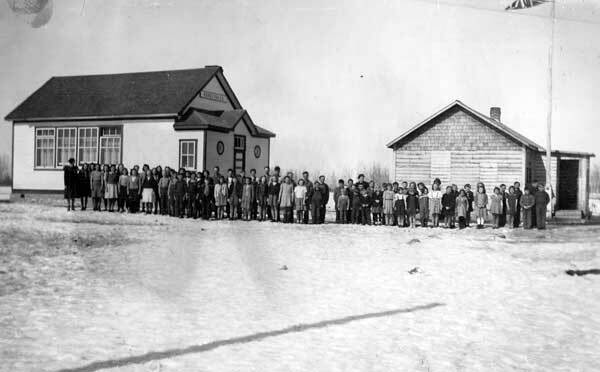 In 1925, the former Farnham School building was moved into Rorketon, in what is now the Rural Municipality of Lakeshore, to serve as the community’s first schoolhouse. The Rorketon School District was established formally in September 1929. It became part of the Lawrence Municipal School District in April 1936, the Rorketon School District No. 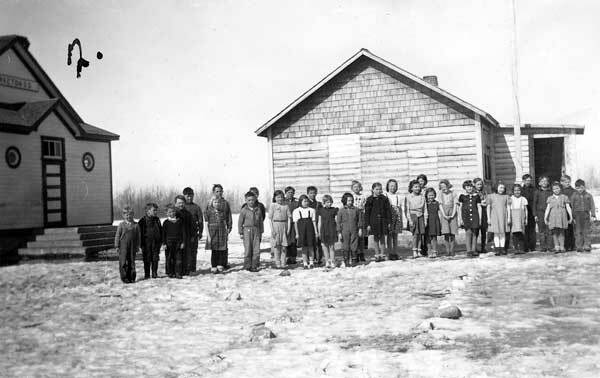 2314 in April 1949, and part of the Duck Mountain School Division in 1967. In need of more space to meet growing student enrollment, the former Cecil School building was moved to the site in 1943, and a new school was built in 1950. As school consolidation occurred in the 1960s, students were transported into Rorketon from surrounding rural school districts. The resulting increase in enrollment created a shortage of space in the school. As a temporary measure, a nearby Greek Orthodox church was converted into two classrooms. In 1963, two classrooms and a laboratory were added to the north end of the school building. With the student body continuing to rise, a Drop-In Centre was converted into three classrooms and two huts were installed, first on the grounds of the curling rink, and later connected to the school building. By 1969, the school had a record 308 students. The building underwent a major renovation in 1970, with the addition of a resource centre, multipurpose room, computer lab, large gymnasium, and open area equivalent to the size of four classrooms. It was further remodelled in 1985. 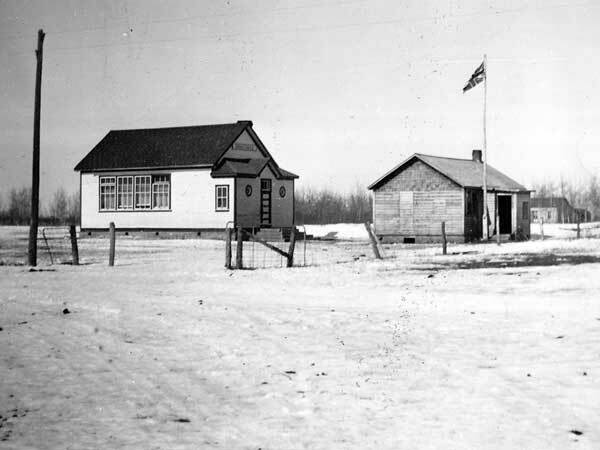 The north end was removed and the huts were sold, with renovations resulting in the present school configuration. Among the other teachers of Rorketon School were Miss Moar (1925), Mary M. Cumings (1926-1927), Marie Talpash (1938), Elizabeth Koshey (1938), Evelyn Bottrell (1938), F. Zaplitny (1938), Don Slobodian (1960s), Dan Stykalo (1960s), and Bill Bunka (1960s). GR8461, A0233, C131-3, page 115. “The local round,” Dauphin Herald, 20 October 1938, page 9. Opening the Door - The Past Comes Alive, The History of the Rural Municipality of Lawrence by Lawrence Municipality History Committee, 1997, pages 280-283.